Gertrude Punter Joseph, 84, passed away on Tuesday, November 6, 2018. Gertrude Joseph was born July 23, 1934 and departed this earth on November 6, 2018. At an early age her parents Olive Sebastian and Henry Punter realized that she had a gift for music and cultivated her talent. At age 7, she entered a contest and won a silver medal for performing a classical piece on the piano. Gertrude was educated in the New York City’s Public Schools. In 1953, she met and married the deceased Hilton Joseph and the couple had five children together. Gertrude worked for a number of years as a telephone operator with Radio Registry. Later in her life she pursued a career with the New York City Department of Education, and worked as an Administrator until she retired in 1999. 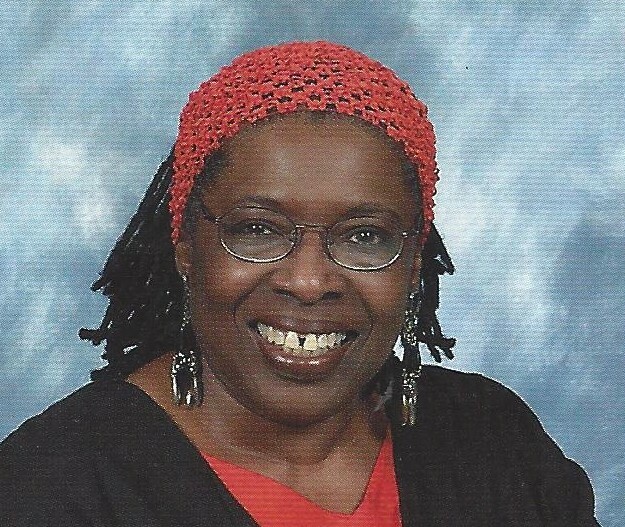 Gertrude relocated to Richmond, Virginia in 1999, and attended St. Peter’s Baptist Church and later joined Anointed New Life Baptist Church where she was a member until she fell ill. She was well known throughout the church for her passion for baking and her gift for playing the piano. In 2017, she moved to Charlotte, NC with her daughter and grandson where she spent the remainder of her days until her passing. Gertrude is survived by her eldest sister Sarah E. Morton and her husband Ernie Morton, 5 children, Theresa Flatts, Neville Joseph, Laura Joseph, Christopher Joseph, Robert Joseph, and daughter in-law Barbara Joseph. 18 grandchildren Paula Gray, Vaughn Flatts, Danielle Flatts, Candice Flatts, Eva Gibbs, Neville Joseph Jr., Nishon Joseph, Tina Austin, Nicole Maldonado, Jivanni Skillings, Shaudae Prince, Brandon Jon, Ronnell Brooks, Jesus Quinones, Le’Shelle Joseph, Bianca Joseph, Zuwena Joseph, and Michael Bouie. 13 great grandchildren Nyah Stokley, Devon Joseph, Ashlee Joseph, Bryson Gibbs, Jaylen Austin, Shaila Austin, Ashley Austin, Nasir Phillip, I’Yana Freeman, Melanie Gray, Yolanda Gray, Rai’Lynn Joseph, Miles Robinson, and a host of cousins and friends. A public viewing for Ms. Joseph will be held on Sunday, November 11, 2018, from 7:00 PM - 9:00 PM at Boston's Mortuary 4300 Statesville Road, Charlotte, North Carolina 28269. The funeral service will be held on Monday, November 12, 2018, at Boston's Mortuary. The visitation will begin at 11:00 AM and the funeral service will begin at 11:30 AM. Interment immediately following service at Beatties Ford Memorial Gardens.